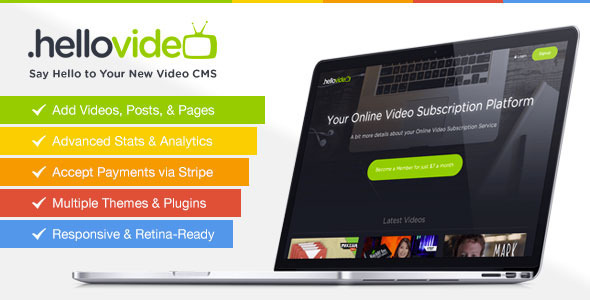 3 items tagged "Video CMS"
HelloVideo is a Video CMS & Video Membership Platform. With HelloVideo you can create your own video website. You can add unlimited videos, posts, and pages to your site. You can choose to make videos available for free or only to your subscribers.